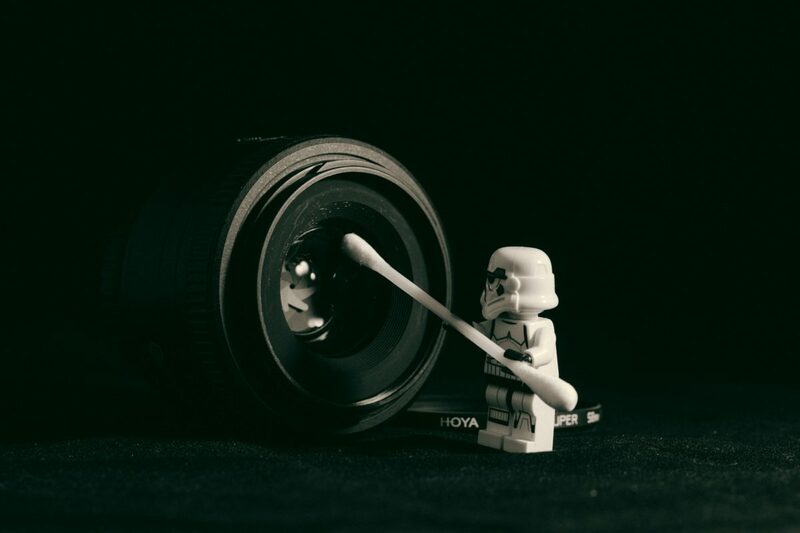 Need a little extra help cleaning your home? These cleaning hacks will help you out. Here are the top 10 best cleaning hacks to make your life significantly easier. Microwaves are mysteriously difficult to clean. Scrubbing it with a cloth doesn’t seem to help much. If your microwave is getting gross, put equal amounts of water and vinegar uncovered in a microwave-safe bowl along with a small wooden object (this prevents the water from boiling). Then, boil the water and vinegar on high for 5 to 10 minutes. When you open the microwave, the crusty food remnants along the sides will be moist and easy to clean. Wipe it down with a sponge or paper towel and you’ll be surprised how clean it looks. Don’t walk away from your microwave just yet. 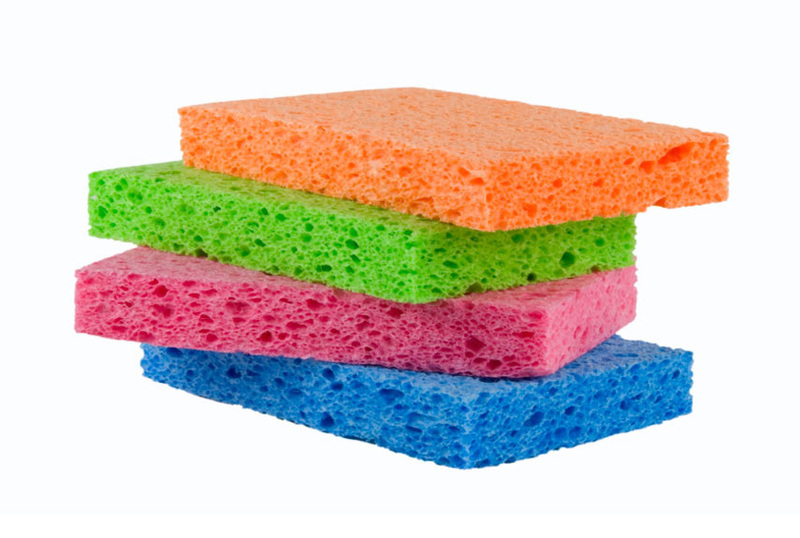 Most people just throw out a sponge when it gets old and smelly. Instead, save yourself a little money by microwaving the sponge for 30 seconds. This is enough to kill any bacteria in the sponge, which means cleaner dishes for you and your family. Ever wonder why your home has a weird smell? In many cases, it’s the spaces between tiles in your bathroom and kitchen. These spaces collect weird scents and smells over the years. They also get grimy and pretty soon, you forgot those space between tiles used to be white. To fix this problem, grab a bucket of water and mix in some light detergent. Take a rag, dip it into the mixture, and start scrubbing your floors. If you’re having trouble reaching the spaces in between tiles, consider grabbing an old toothbrush. Make sure you frequently wash your rag and toothbrush for maximum effectiveness. Blinds are some of the most frustrating parts of a home to clean – especially if you have big, wide blinds. Fortunately, there are cleaning life hacks for that! Combine equal parts water and vinegar into a bowl, then put a sock over your hand (yes, just like if you were making a sock puppet). Dip the sock into your water/vinegar solution, then run it with a tight grip over each blind. Dirt and dust is gone! If you have stainless steel appliances, then you know how much of a scourge fingerprints can be. Washing the appliances with normal solutions just seems to leave water marks. What’s the better option? Use a microfiber cloth (or any soft cloth) and some rubbing alcohol. If you want to be extra natural, consider using a few drops of olive oil, which works just as well. If you do this a few times a month, your stainless steel will look clean and fingerprint free for weeks. If your couch isn’t brand new, then it probably has some weird smells lingering in the fabric. How exactly do you clean a couch? Many professional cleaners and housekeepers use the old baking soda trick. Brush off the surface of the couch to remove any debris. Then, sprinkle baking soda on the area you want to clean and let it sit for 20 minutes. 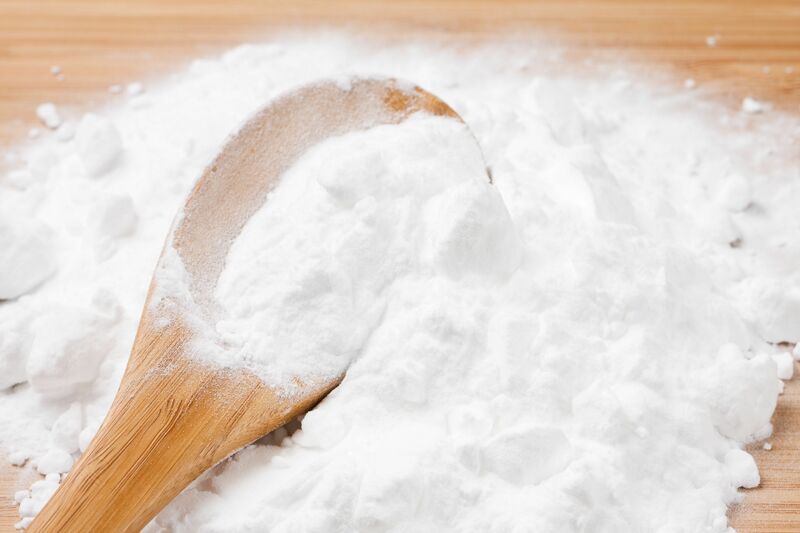 The baking soda will break up stains while removing weird odors (yes, just like it does when left in your fridge). After the 20 minutes are up, just vacuum it up using your brush attachment. If you look on the internet, there are dozens of “secret” tricks for removing hard water stains. One of the best tricks, however, involves using citrus fruit. Grapefruits and lemons (sliced in half) work particularly well. Just cut the fruit in half, sprinkle a little kosher salt on the exposed side, and rub that exposed half on your hard water stains. You don’t need to throw out dryer sheets immediately after using them! Instead, consider using old dryer sheets on your baseboards to prevent dust and hair from building up. It’s as easy as rubbing them along the length of your baseboards. The anti-static effect will prevent dust and hair from attaching to the boards. This one is weird – but it works. Grab a Ziploc bag, fill it with vinegar, then tie it around your shower head and leave it overnight. The vinegar will break down and remove hard water stains and other buildup. The hardest part of this trick is remembering to remove the bag before you shower the next day. There’s a long list of surprising items you can clean with Coca-Cola. Add “garage floors” to that list. If you have weird motor oil stains and other discoloration on your garage floor, just pour a bunch of Coca-Cola on the ground over top of the stains, then wash it away. Yes, this actually works. These cleaning hacks are guaranteed to make your life easier.